Privacy issues are important, and this notice serves to explain JRZ Suspension Engineering online information practices. Please read this Privacy Disclaimer completely, before using www.jrzsuspension.com. 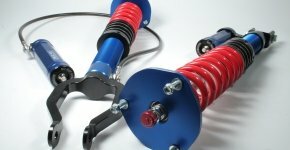 This website is operated by JRZ Suspension Engineering BV and owned by Protrac BV. This agreement documents the legally binding terms and conditions attached to the use of the website www.jrzsuspension.com. By using or accessing the Site in any way, viewing or browsing the Site, you are agreeing to this Privacy Disclaimer. JRZ Suspension Engineering reserves the right to modify this Privacy Disclaimer at any time. We do so by posting the updated version on our website. In the title of the Privacy Disclaimer is the date of the last revision visible. Your decision to continue to visit and make use of the website after changes have been made constitutes your formal acceptance of the new Privacy Disclaimer.Therefore, we ask you to check and review this agreement for this changes on an occasional basis. Should you not agree to any provision of this agreement or any changes we make tot this agreement, we ask and advise yout to not use or continue to access the JRZ Suspension Engineering website immediately. At some places in the JRZ Suspension Engineering web site, you may download files or otherwise express an opinion, or participate in online news or communities. The types of personally identifiable information that may be collected at these pages include: name, address, e-mail address, telephone number, fax number, and information about your interests in and use of various products, programs, and services. JRZ Suspension Engineering may also collect certain non-personally identifiable information when you visit its web pages, such as the type of browser you are using (e.g., Mozilla Firefox, Internet Explorer), the type of operating system you are using, (e.g., Windows or Mac OS), your IP address, and the domain name of your Internet service provider. First and foremost, JRZ Suspension Engineering does not sell or provide your information to outside entities. JRZ Suspension Engineering may use the information you provide about yourself to fulfill your requests for JRZ Suspension Engineering products, programs, and services, to respond to your inquiries about our offerings, and to offer you other products, programs or services that may be of interest. JRZ Suspension Engineering sometimes uses this information to communicate with you, such as to notify you when specials are available or when changes are made to online or print products and services, to fulfill your request for an online newsletter, or to contact you about new products. JRZ Suspension Engineering sometimes uses the non-personally identifiable information collected to improve the design and content of the JRZ Suspension Engineering web site and to enable us to personalize your Internet experience. JRZ Suspension Engineering may also use this information in an aggregated form to analyze site usage. If you wish to be removed from distribution lists of messages concerning products and services, you will be provided an opportunity to opt out or block such uses. To opt out of such lists at this time, please contact us at info@jrzsuspension.com. 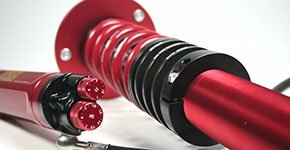 JRZ Suspension Engineering may on occasion combine information received online with outside records to enhance the ability to market those products or services that may be of interest to you. If you prefer not to receive marketing information from this site, click the above link to forward such a request to the JRZ Suspension Engineering office. Finally, the JRZ Suspension Engineering site will not use or transfer personally identifiable information provided in ways unrelated to the ones described above. The JRZ Suspension Engineering site contains links to other sites whose information practices may be different than our information practices. Visitors should consult the other sites' privacy notices, as JRZ Suspension Engineering has no control over information that is submitted to, or collected by, these third parties. The website and all of its original content are the sole property of JRZ Suspension Engineering and are, as such, fully protected by the appropriate international copyright and other intellectual property rights laws. JRZ Suspension Engineering has put forth its best efforts to enact appropriate physical, electronic, and managerial procedures to safeguard and help prevent unauthorized access, maintain data security, and correctly use the information collected online. This agreement is governed in accordance with the laws of The Netherlands. JRZ Suspension Engineering reserves the right to terminate your access to the JRZ Suspension Engineering website, without any advance notice. The links on this web site and our newsletters are provided only for the convenience of JRZ Suspension Engineering web site visitors and JRZ related businesses and organizations. JRZ Suspension Engineering has no responsibility for, or control over the linked sites. 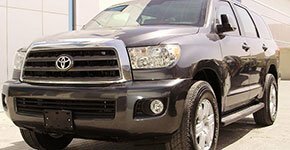 JRZ Suspension Engineering makes no promises or warranties of any kind, express or implied, including those of merchantability and fitness for a particular purpose, as to the content of the linked sites. In no event shall JRZ Suspension Engineering be liable for any damages resulting from use of these links even if JRZ Suspension Engineering has been informed of the possibility of such liability. JRZ Suspension Engineering does not guarantee Pricing information provided on this web site or our newsletters. Data and information is provided for informational purposes only. Neither JRZ Suspension Engineering nor any of its data or content providers shall be liable for any errors or delays in the content or for any actions taken in reliance thereon. All prices on this site and our newsletters are recommended retail prices in Euro excl. VAT., excl. works Uden the Netherlands. The information contained on this site or our newsletters was compiled using information provided by various businesses and sources listed. Although every effort has been made to ensure accuracy, JRZ Suspension Engineering cannot assume responsibility for errors or omissions. Visitors should confirm pertinent information prior to each visit to determine the suitability of the facilities or services to the intended use. Please forward any corrections to info@jrzsuspension.com.